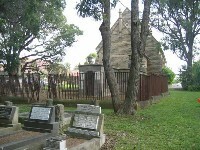 Twice each year, the decendents of Dr David Ramsay meet at the family Graveyard at St David's Chuch at Haberfield, for a working bee and family get together. The meetings of the Graveyard Committee, which maintains and organises restoration work to be done, are usually held on these days as well. Any family members are welcome to come along, we have a great time, and finish off with a barbecue lunch. If you'd like to come along, you can contact me for more details. This is the Ramsay Graveyard, showing the vault where Dr David Ramsay, Sarah Lord his wife, and some of his descendants are buried. 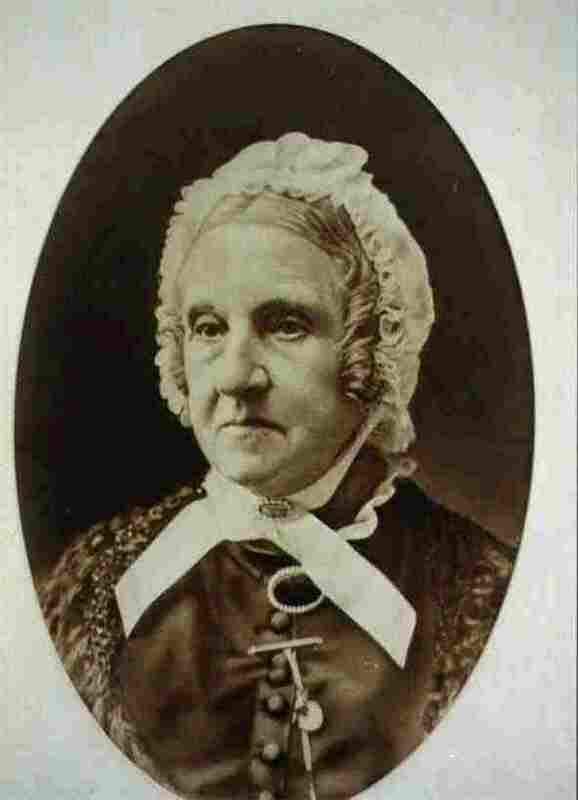 This is Sarah Ann Lord, who married Dr David Ramsay. After his death, she ensured his wishes for a Church, School and Graveyard to be built on a portion of their land were realised.